Welcome to the Assemblies website! 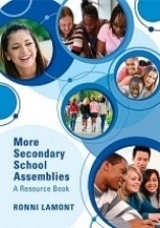 Have you led a successful assembly recently? We are always looking for original and imaginative assembly material so why not send us your ideas and share them with the assembly community? 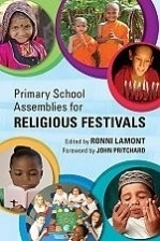 This book features assemblies from world religions from Baha’i to Zoroastrian, suitable for all schools to use and share with their pupils. The lively and engaging material covers Christian festivals; stories from the Bible; PSHE-related material and ethics-related assemblies. Would you like to receive information about new developments and resources direct to your inbox? Simply complete the form below and we'll keep you up to date. Important: Click on the underlined letter above before pressing the 'Thank you' button, or your message will not be sent.